The sustainability, prosperity, and quality of life in YUS ultimately belong to the local communities and the government of Papua New Guinea. Therefore, it is vital that TKCP’s activities continue to reflect community aspirations and that decision-making authority and responsibility are transferred to local institutions with the resources and capacity to maintain long-term support for the landscape and people of YUS. From its origins as a one-woman conservation endeavor based at the Woodland Park Zoo in Seattle (and supported, of course, by a vital network of colleagues in Papua New Guinea, the United States and Australia), the Tree Kangaroo Conservation Program has grown into a holistic, award-winning program with more than 25 local staff helping to protect a pristine landscape larger than the country of Singapore (and twice the size of Seattle). And, from the beginning, Dr. Lisa Dabek has envisioned TKCP as a grassroots community-based initiative driven by the interests, passion, and commitment of the people of YUS and Papua New Guinea. In support of this vision, the Tree Kangaroo Conservation Program has established a local nongovernmental organization, TKCP-PNG, to assume responsibility for the administration and implementation of the program’s work in Papua New Guinea. Governed by an independent Board of Directors and staffed almost entirely with local staff, the NGO now works in partnership with the Woodland Park Zoo’s TKCP. The umbrella name for this partnership is the Tree Kangaroo Conservation Program (TKCP). 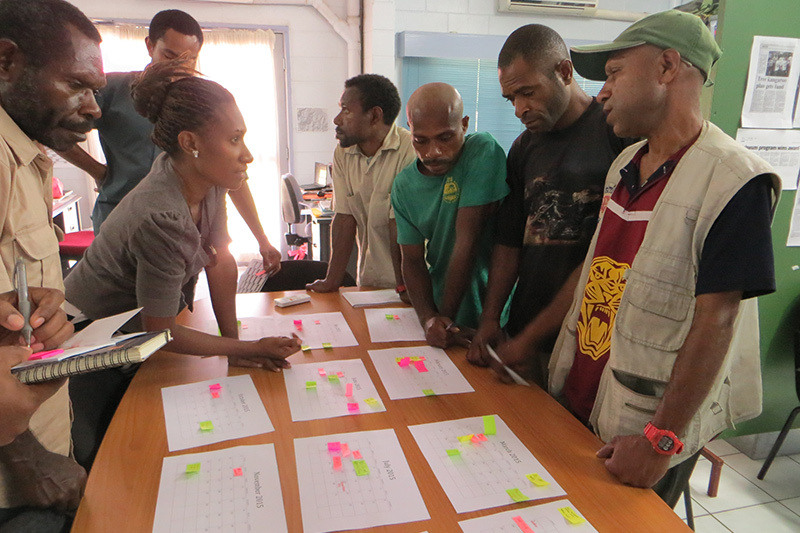 TKCP strongly supports the continued development of local scientific expertise in Papua New Guinea, and strives to provide staff and local partners with opportunities to engage and learn from conservation practitioners around the region and the globe. TKCP staff participate in international conferences and workshops to expand their professional networks and build capacity. As the YUS Conservation Area is the first nationally-protected area in Papua New Guinea, exposure to external networks is a valuable component driving the effectiveness of TKCP’s initiatives, and supporting the continued development of successful conservation practices for use throughout PNG. 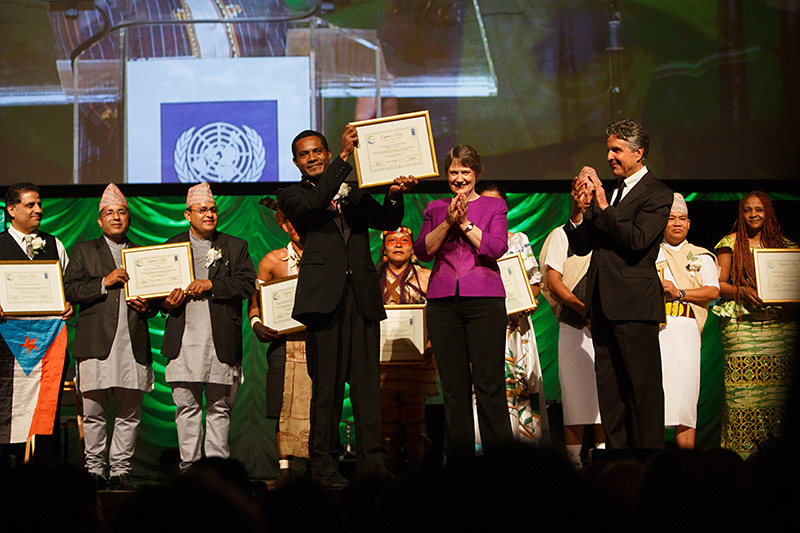 In recognition of TKCP’s holistic, community-owned approach to habitat conservation, the program was awarded the prestigious United Nations Equator Prize in 2014. The Equator Initiative seeks to advance local sustainable development solutions for people, nature, and resilient communities. With the award, TKCP joins the Equator Initiative’s World Indigenous Network along with other innovative, community-led conservation programs. How well has the YUS Landscape Plan responded to threats and priorities? Have management interventions reduced or minimized threats to conservation priorities? Have management interventions protected and enhanced YUS Landscape values? Evaluation findings and results inform the program’s management decisions and guide the strategic direction for the YUS Conservation Area through the YUS Landscape Plan. As part of its mission, TKCP strives to contribute to the national and global knowledge base for effective wildlife conservation. The YUS Conservation Area aspires to be a model for other community-based protected areas in Papua New Guinea and beyond. To encourage the creation of other nationally-protected conservation areas in Papua New Guinea, TKCP and Conservation International published Lessons Learned from the Field: Achieving Conservation Success in Papua New Guinea to serve as a guide for other practitioners of community-based conservation in PNG. Financial sustainability is an overarching aim for YUS Landscape management. To support this, TKCP and the Woodland Park Zoo are proud to have established the YUS Conservation Endowment together with Conservation International’s Global Conservation Fund. 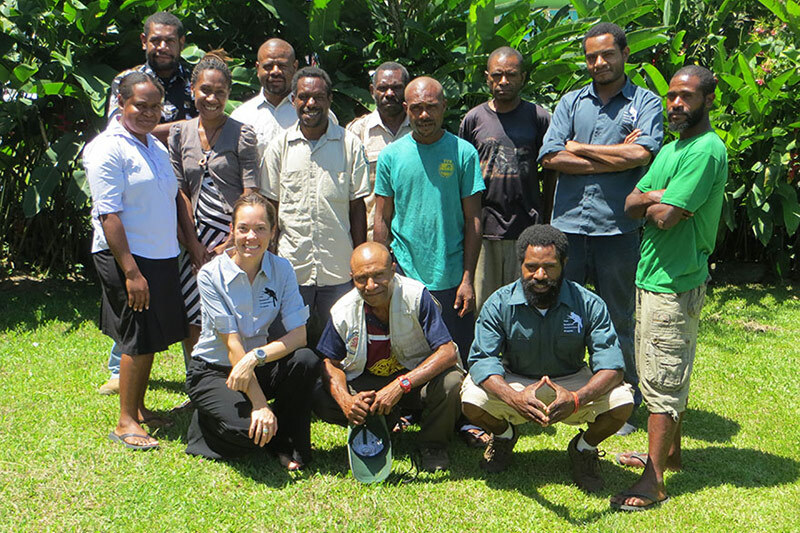 Established in 2012, the endowment provides partial annual funding support to the local NGO, TKCP-PNG, for the management and protection of the YUS Conservation Area in perpetuity. TKCP continues to seek needed funding for core YUS Conservation Area management programs, initiatives, and operational costs. With the ongoing support of the Woodland Park Zoo, TKCP will continue to submit funding proposals to donors both through WPZ and through TKCP-PNG. For more information about our work in Operating TKCP, refer to the YUS Landscape Plan or our Annual Reports.